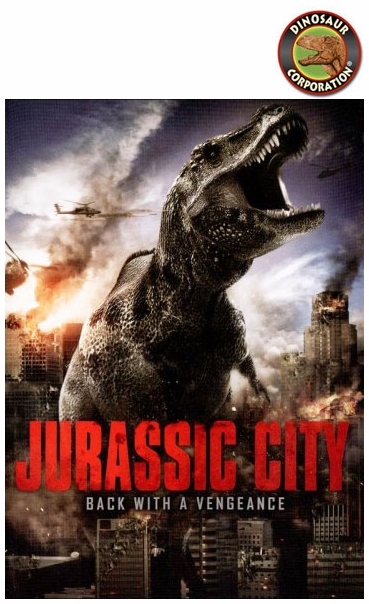 Jurassic City DVD! When a top-secret laboratory is unexpectedly breached, thousands of rampaging raptors are unleashed on Los Angeles! A black-ops unit is mobilized to contain the creatures before they cause city-wide chaos. Simultaneously, a truckload of raptors is rerouted to a nearby prison. Upon their escape, these ferocious flesh-eaters are beyond containment. This is Jurassic judgment night for smoking hot sorority girls, sinister scientists, muscle-bound military and doomed death-row inmates! It's about to get bloody in Jurassic City!